A second favorite Metroid song is the “Norfair – Ancient Ruins Area” theme from Super Metroid. 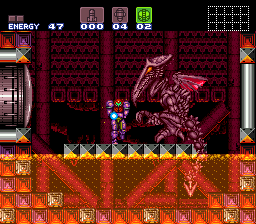 This track plays in Ridley’s hideout, deep beneath the surface of Zebes in the fiery depths of Norfair. Lower Norfair is boiling hot, with heat waves rising in the background amongst the cracked and burning statues of the Chozo. Why they decided to build a civilization down here is anyone’s guess, but it’s just a comfortable day for Ridley, the fire dragon that lives at its heart. “Norfair – Ancient Ruins Area” takes on this feel of oppressive heat, but also the mystical lore of the warrior Chozo training for battle within the inferno. The war horn trumpets are oppressive, as is the booming beat of the drums and a choir that recalls “O Fortuna” from Carmina Burana. 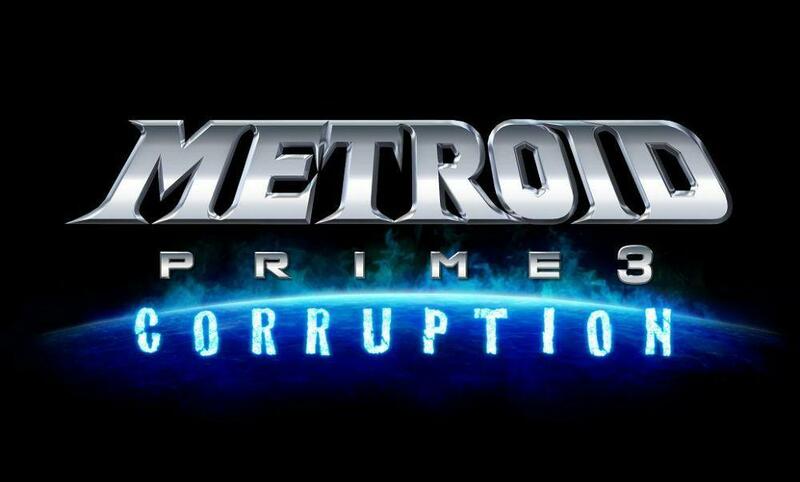 One of the final areas of the game, the theme also contains a hint of the last steps on the road to revenge – Samus has tracked down the Baby Metroid that was stolen by Ridley from the Space Colony to the dragon’s lair and has come to reclaim it. This emotional impact is absent from Metroid Prime‘s “Lava Caves,” the volcanic underbelly of Tallon IV. “Lava Caves” is a remix of “Norfair – Ancient Ruins Area” which was both a pleasant surprise for long-time Metroid fans and also something of a disappointment. The midi score simply lacks the booming, brooding impact of the original. Wooden sticks, muted trumpets, and cymbal crashes dominate this piece. Another arrangement of this version found its way into Metroid Prime Pinball. “Norfair – Ancient Ruins Area” has seen its fair share of remixes from fans, too. Some outstanding notables are Adhesive Boy’s “Braving the Flames” from Relics of the Chozo with its choral line that seems to have been lifted from Ocarina of Time and industrial beat. Of course, Metroid Metal’s “Lower Norfair” mix is also pretty good, and as usual, the Varia Suite version is even better. Another excellent mix is Enki’s “Stygian Depths” from VGMix 1.0, which has sadly not gotten as much coverage as it should have. This orchestral medley is quite excellent, though I admit the introduction of Lower Norfair’s drums is a bit loud. 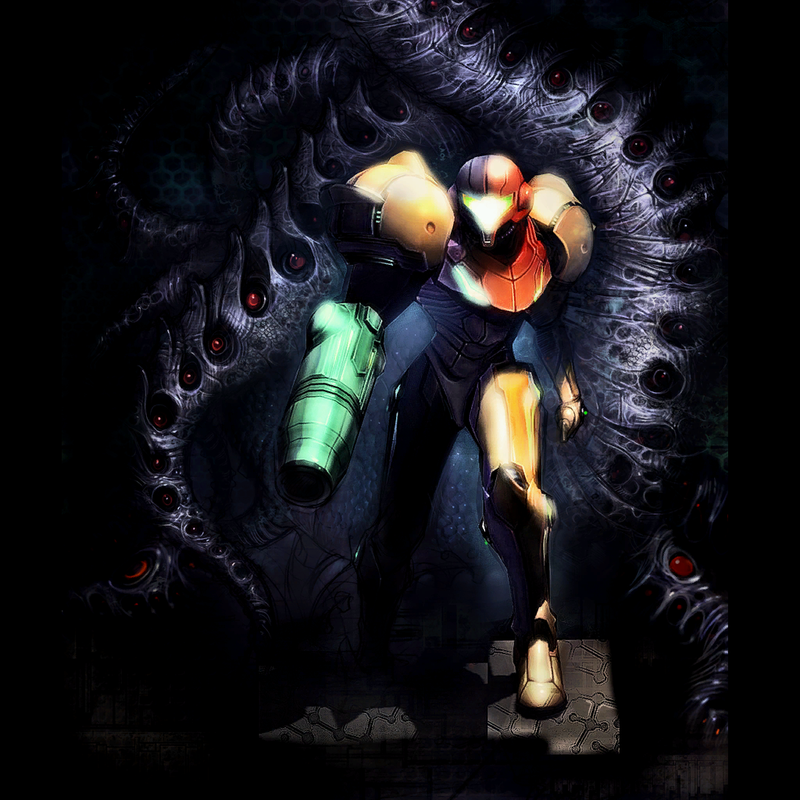 To celebrate the launch of Metroid: Other M, I’m running a week of Metroid remixes! First up is a perennial favorite, the “Theme of Super Metroid.” This amazing piece plays into the intro to the game when Samus narrates the story so far. The combination of pounding drums, heroic trumpet, and creepy choir sets the atmosphere perfectly for a series full of terrible monsters, epic battles underground, and biotech intrigue. It really illustrates how much of a badass galactic warrior Samus is. Pay special attention to the drums at 0:44 and again at 1:40 – this section drops the accompanying instrumentation and relies solely on these pounding drums. You will definitely want to crank the subwoofer, as even from 1994, Super Metroid is one of the boomiest games out there. It was tracks like this which made Kenji Yamamoto famous and the official composer for the series up until Metroid: Other M.
The “Theme of Super Metroid” has appeared in more than a few games in the series, showing up in Metroid Prime 2 and 3 as well as a shortened version in Metroid: Other M. However, the arranges are where the track really shines, particularly Yoshiyuki and Masumi Ito’s “Theme of Super Metroid” arrange from Super Metroid “Sound in Action” (1994). The theme has a great trance element to it, with a synth bass that sounds like Batman, a synth choir, and dramatic strings instead of trumpets. And of course the drums are fantastic as well. Original material at the 2:10 mark with the choir fits perfectly with the rest of the theme, and the metal bars used for percussion fulfill the doomsday prophecy of the Metroids. Don’t forget the great echoing water drops at the 1:00 mark, too. Because the track is so awesome, it’s included here in FLAC format. For another take, there’s Metroid Metal’s rock rendition. The “Prelude/Theme” played on guitars is wicked-cool. It’s got a smooth transition from the “Prelude” section to the “Theme” and in lieu of a choir, there are some high guitar whines; guitar also sounds perfect for the trumpet section. There’s an excellent combination of guitar and drumwork at 2:28, making it my favorite part of the song. Metroid Metal made an even better arrange on Varia Suite, which you can pick up for $8 from Bandcamp or Silent Uproar. I’d also like to give a shout-out to Becket007’s orchestral remix that sounds like it’s out of Robocop or Total Recall and Sam Dillard’s “Metroid Overture” which includes “The Destruction of the Space Colony,” the game’s title theme. Becket007’s arrange also includes this, but he ends it with the Mother Brain theme. 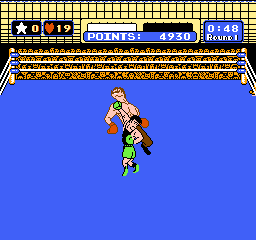 Here’s a great mix of the “Main Theme” from Punch-Out!! performed by Game Over. This is also the first track here with lyrics. This is a 128kbps version of the track from Nintendo Metal (2002) that they uploaded to OverClocked ReMix. The original tune is from Punch-Out!! on the NES (1987) and arcade (1984). It was composed by Yukio Kaneoka, Akito Nakatsuka, and our familiar friend, Kenji Yamamoto. These guys did an excellent job of creating a really catchy melody. The track does an excellent job of capturing the glorified excitement of a good, clean boxing match. Give him the uppercut! The uppercut!! Punch-Out!! 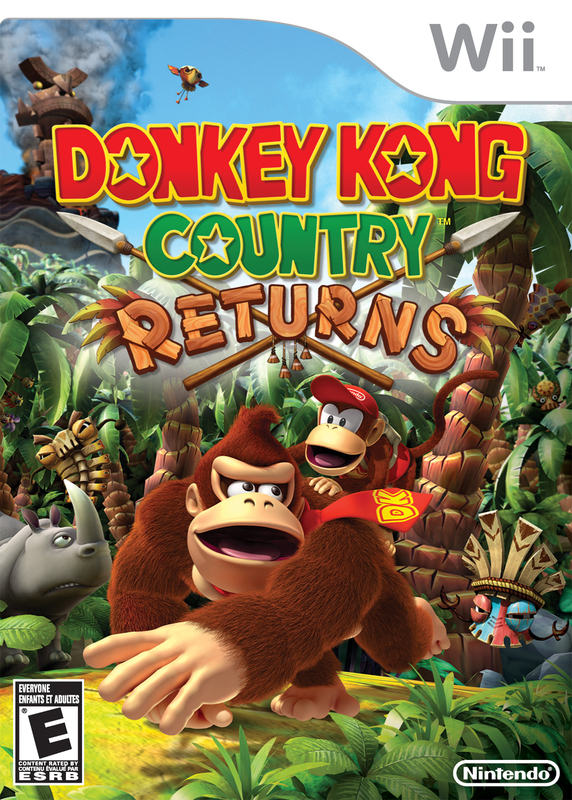 is well known for its puzzle fighting gameplay and the cartoon character designs, which still have powerful emotional impact compared with a lot of the stuff made today. Read the rest of this entry ?